Continuing New Mandala‘s recent series of pictures from Manau festivals in greater Southeast Asia, over the coming weeks I will be posting material from a recent Singpho festival held in Miao, Arunachal Pradesh, India. To whet your appetite here are a few pictures that may help to set the scene. 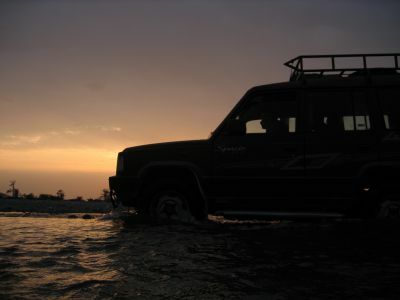 – Crossing part of the Dehing river in far eastern Arunachal Pradesh. The other, deeper section of the river can only be crossed (even at this very dry time of year) by loading vehicles and people on rafts (or by using a cable car contraption). – The Manau dances in full colour at the Manau ground. For the rest of the year this field serves as the local cricket pitch! – Just a small part of the very relaxed Indian security contingent. This particular group were guarding two ministers from the Arunachal Pradesh government. – Singing the Manau song on the final day of dancing. Previous New Mandala coverage of Manau festivals is available here. Of course if there are particular issues that readers would like to see highlighted in the ongoing Manau series please do let me know. How is the manau different, if it is, in India given that the Singhpo are mainly Buddhist, as opposed to the “Christian” manau at Myitkyina? 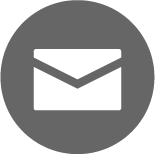 I will get on to some of the many differences in future posts but, right now, I will try to give you a quick overview. 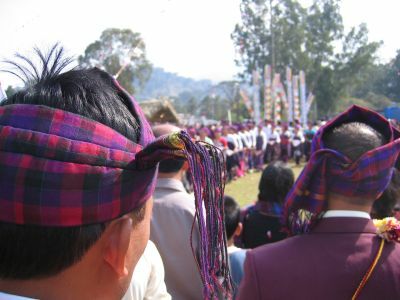 Compared to the extravagant Myitkyina Manau, the Manau in Miao this year (the 24th year that the Shapawng Yawng Manau has been celebrated in Assam and Arunachal Pradesh – the venue changes) was relatively small. In fact, compared to the many large Manau held across the region – in Laiza and in parts of Yunnan – it was small. It was, however, well attended by many of the local chiefly families and by important people from further afield. The much smaller scale of the festivities obviously gave everything a different feel. The Buddhism of the Singpho is an interesting element of life in northeast India that I hope to say a great deal more about. 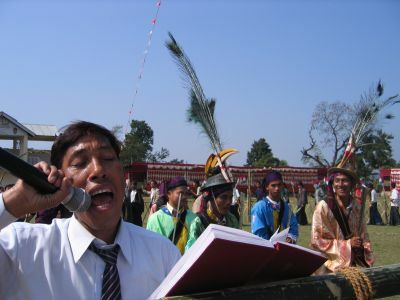 One striking aspect of Singpho expression in India is the apparent lack of what could be called the “preacher’s voice” (with its dramatic tonalisation, etc) that is found throughout the Kachin State. There were some Kachin Christians at the festival (who spoke like they were back in Myitkyina) but everyone else has a slightly different way of talking. I wonder – does over 100 years of Christianity, regular church attendance and “Bible Jinghpaw” on the Kachin side of the national border have anything to do with this? 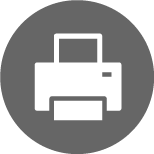 How recent have changes in usage (or in the language(s) more generally) been? Anyway, this is one particularly noteworthy comparative issue. The lack of missionary influence in Singpho society is especially interesting because so many other groups in Arunachal Pradesh have converted to Christianity. There is much more that should be said about this. Thanks for the question. Is there a difference between Baptist “preacher’s voice” and Catholic in Burma and did it show up at the manau in Myitkyina? I did notice a bit of difference, stylistically at least between the Kachin Catholics and Baptists in Burma, but I haven’t had any experience with the Singhpo, except second hand through Burmese Kachins. You mentioned the chiefly families. My understanding is that the Singhpo have retained a bit more of the duwa system than they more gumlao (in theory) Kachins in Burma, I wonder if this might have any influence on the retention of Buddhism, given that it may help legitimize the chiefly families. It might also have influenced the tone, since it may be the event in India was a more “aristocratic” affair. I’m not sure if there is a major difference in the relatively urban(e), literate “preacher’s voice” between Catholics and Protestants (or Anglicans, or Assemblies of God, for that matter), although there might well be. It is a really good question, and something I would like to know more about. As for the chiefly families, yes, they were out in force. The annual Manau held in Assam and Arunachal Pradesh appears to have always been closely aligned with the various chiefly families: the patriarchs, some of whom play substantial economic roles, do carry the “Duwa” title. I get the impression that the retention of Buddhism all plays a part in maintaining this system. That said, I’m not sure if the old gumlao, gumsa, Shan typology will stand up to much contemporary, critical scrutiny in Singpho areas. The dynamic is quite different – although I am not certain I yet understand what it is! Notably, the histories of migration from various parts of the Kachin State to the western side of the Patkai Range are not always so “aristocratic”. Again this is an issue about which it would be good to know much more. Thanks for raising these interesting points for discussion. I’m not sure that the gumsa/gumlao distinction held up that well even when Leach proposed it. However, based on having absolutely no direct personal experience in NE India, I’d suspect that a more “gumsa”, duwa based attitude, would be retained in India as opposed to Burma. In part, this would be due to the political influence of the KIO, which despite the rather duwa background of many of its leaders, always promoted a gumlao ideology and theory, if not practice. Furthermore, the Kachin Baptist tradition isn’t just Baptist, but American Baptist, which again in theory would be more democratic, brash approach. One might argue how democratic the Baptist tradition is in practice, but I think the brash is pretty self evident. I’d suspect the more “chiefly” manau in India would be more restrained, if only by default. The interesting question is how does the Chinese manua tradition fit in to this? My impression is that the Chinese Jinghpo are influenced in terms of cultural expression by the Burmese Kachins. Interesting comments – and I agree with your thrust here. What is important to note, but certainly not suprising given their numerical advantage, is the way that Kachin from the Kachin State (whether they still live there or not) play a significant role in the creation of various ideas about Singpho-ness in India. They are part of a wider conversation, for sure, but through education, political feeling, resources, etc, they have forged a real presence – especially at an event like this recent Manau in Arunachal Pradesh. In southwestern China I have found that the same is often true. Even when the local religious and political tradition is quite different some of Burma’s Kachin (and, especially, Jinghpaw from all the hotspots) find a place for themselves. I guess this is not that surprising – but it leads to an interesting dynamic, nonetheless. Wish I’d been able to see this earlier as there are so many interesting issues being raised. Just a couple of comments – most of the things being raised here can only really be sorted out after a lot more very detailed work in the region and I think we need to be a bit careful about some of the assumptions we make and get rooted into. As for language, yes, it seems that there is a lot more tonal functionality in Burma dialects of Jinghpaw and the most obvious point of reference for this could be the Christian sermon. But the missing link in this (and with many of the other comments really) is the inter-relationship with traditional ‘animist’ practices amongst the Singpho and the Jinghpaw. Don’t forget that the first local preachers (and the people whom the Baptist missionaries used to develop their missionary practices and their understanding of Jinghpaw spiritual conceptualisations) were joiwa dumsa spirit priests. This is a highly ‘sing-song’ form, so let’s be a bit cautious before heading too far down the ‘this is a Christian intervention’ route and at least consider it in relation to this possibility. Also, when you take a broader geographical view of tonal functionality – where does the influence of China sit with this? This is the border region where both Baptist and Catholic missionaries honed their trade, with surely a very high degree of tonal functionality too. We really need proper linguistic analysis of these forms that takes into account some of these issues too. Related to this, I think we also need to beware of a simplistic rendering of the ‘Christian Kachin’ (and therefore the ‘Christian’ manau in Burma) and the ‘Buddhist Singpho’ (and therefore the ‘Buddhist’ manau in Arunachal). A number of points about this. There were until the 1970s at least very large numbers of Kachin Buddhists in Burma – the success of Christian missions in the region is a more recent development than is often presented. At the point of independence, animism (which for many people was practised as part of a continuum of beliefs that did not exclude Buddhism – which is what underpins the concern of some Kachin Christians today about the potentialities of any ‘animist revivalism’) was the daily practice of the vast majority of Kachin people. Christianity and Buddhism need to be considered in relationship with and part of a triumvirate of practices which includes ‘animism’. I did quite a bit of work on conversion decisions between Kachin animists (also their boundaries or otherwise with Buddhism for those affiliated with the Socialist regime in the 1970s/80s) and Christianity in the Kamaing region, and my very perfunctory reading of the situation in the Arunachal region is that once one takes Jinghpaw/Singpho animism into account, there is a common functionality about these religious shifts. 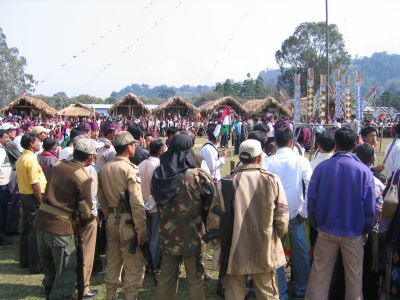 There have been overtly Christian manau (more overtly so than one sees in these largely secular events that are pictured here in Burma or Arunachal) – but this was always a really big problem with the revival of the manau and still hasn’t been totally resolved. The ‘revival’ of the manau in Arunachal was linked from what I can gather with an explicit attempt in the 1980s (which was missionary to some extent, and to this extent remains so) to ‘bring Kachin culture’ back to the Singhpo in AP (hence the 24th anniversary). Also there is actually a realtively small coterie of people who have had a significant agenda of using the manau over the last ten or 15 years and that agenda spans India, Burma and China (and into Thailand – where one sees Buddhist symbols at the manau ground for obvious reasons even though there is a very complex religious make-up of the communities where the manau takes place). Again, I’m just holding up a few red flags as so many of the issues raised are really huge and can’t be dealt with fully in one blog – also I don’t have the answers myself, but have a sense that the focus of the thread perhaps needs reorienting). Finally, re: gumlao and gumsa in AP, my understanding of this (which I’m quite happy to be proved wrong about) is that the lineages that formed the majority of the groups migrating into AP have always had quite ambivalent or non-linear relationships with these categories (which again only becomes a problem if we start with the categories and try to sort things out from there rather than looking at the ground first). The fact that the Bisa and Ningroo chiefs are acknowledged in the Miao manau in a more open, laudatory way reflects a few things too- two of which are that Singhpo history is permitted a different framework of reference in India than it is in Burma (I could point out the relatives of a number of historically key chiefs in the Myitkyina manau which are pertinent to local knowledge of history but which have no relevance in a national history and thus won’t be placed centre stage); another is that there has been a reconfiguration of the term Duwa in Kachin state since the early years of the KIA and implicates the term in a broad range of categories and social constructs. I hope these rather random comments make sense – my basic point is that we are all a very long way from getting to the bottom of what we are seeing here. And that it’s absolutely fascinating.